South Sudan is to seek investment from China for a new pipeline. This would allow it to export oil without the consent of its northern enemy Sudan. The two parts of a formerly united country are in a bloody conflict over control of crude revenues. 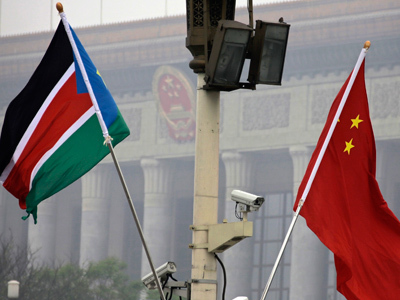 Beijing may join an international consortium South Sudan wants to form for construction of a pipeline, Pagan Amum, lead negotiator for South Sudan, told the Financial Times. The issue will be discussed by South Sudanese President Salva Kiir at his meeting with his Chinese counterpart, Hu Jintao, as part of a five-day visit that starts Monday. The talks come as skirmishes continue at the country’s northern border over a disputed oil field. South Sudan officially broke away from Sudan in July last year after decades of an on-off civil war. The new country controls some 75 per cent of the oil reserves the unified state used to have. But it cannot export the oil without Sudan’s help, since infrastructure for transporting and shipping of crude remains in the northern country’s territory. A row over transit fees escalated over the months and resulted in complete halt of all oil export from South Sudan in February. China had been investing heavily into both the production of crude, and pipeline and port facilities. Analysts hoped that Beijing’s mediation would help to hammer out a lasting oil deal between Sudan and South Sudan. But apparently this is out of question at the moment. “I don’t think our oil will flow through Sudan any more again,” Amum insisted. 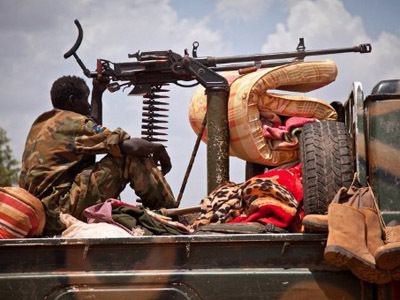 Sudan and South Sudan are engaged in a new wave of hostilities at the moment. On Monday Sudanese warplanes carried out air strikes on South Sudan’s territory, reportedly killing three people. 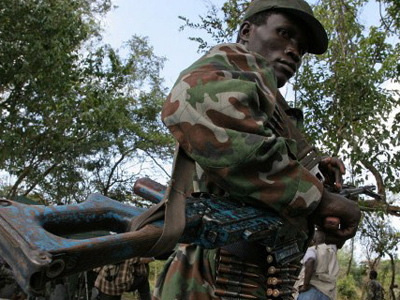 The violence reignited last week, after the South invaded the disputed Heglig oil field in the border region. 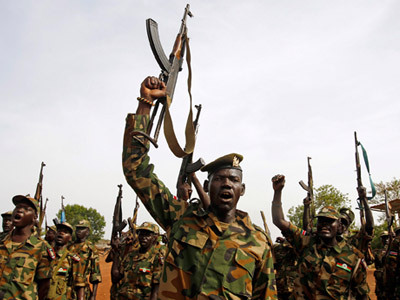 Sudan declared its neighbor an enemy and launched a counteroffensive. By Friday South Sudan’s forces had been pulled out. The oil crisis has hit the economies of both countries, which rely heavily on hydrocarbon exports. South Sudan received 98 per cent of its revenue from selling crude and is currently seeking emergency loans and alternative ways to renew transit. Officials in the South’s capital, Juba, view their control of oil fields as a trump card, claiming an oil pipeline to Kenya or Djibouti could be built in a matter of seven months. Amum gives a more realistic timeframe, saying construction would take between 30 months and four years. But finding investors for the project remains a stumbling block. Some observers believe that the whole conflict in Sudan was fueled by rivalry between China and the US on the other. Washington seeks closer ties with South Sudan secessionists, having armed them during the civil war. China had been supporting the central government, seeking protection of its investments.